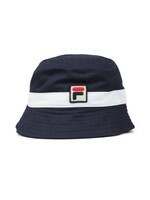 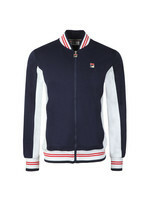 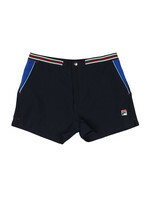 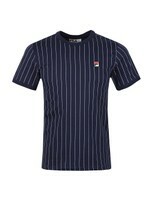 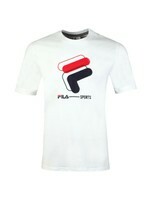 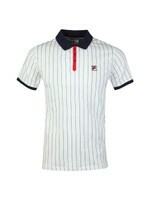 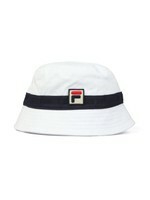 Mens Fila High Tide Short in White. 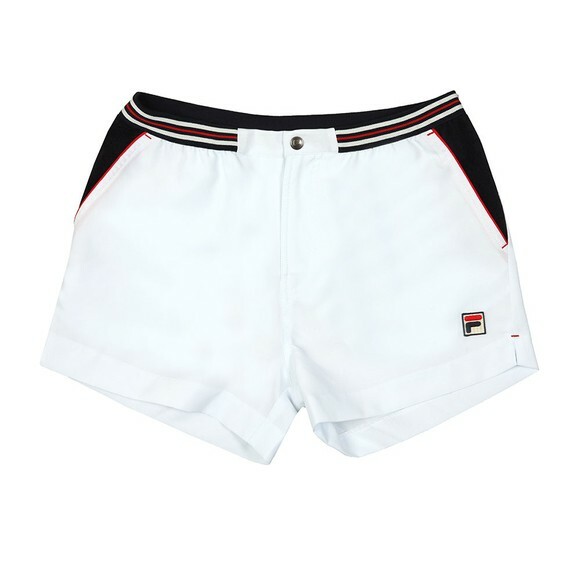 The high tide short is a remastered tennis style short that brings back that classic heritage sport look that Fila uk has perfected. 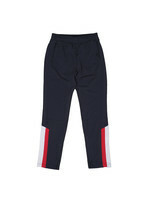 With a striped elasticated waistband, zip fastening fly that has a single button closure and two classic open side pockets. 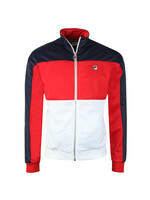 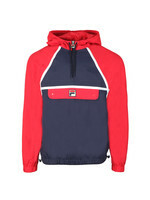 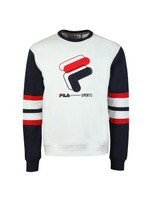 Completed with the iconic vintage Fila logo embroidered to the thigh.